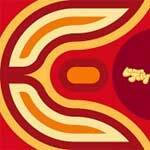 Lemon Jelly (a.k.a Nick Franglen and Fred Deakin) prepare to release their first single from the forthcoming album, Lost Horizons. Space Walk will be released on October 7th on CD/DVD and 10" through XL Recordings. Renowned for their lovingly assembled releases, Lemon Jelly pay as much attention to the details in the music as they do to the sleeve artwork. Space Walk is a fine example of this. Not only are we treated to a gorgeous taster of the album, but we are also treated to a stunning sleeve featuring a full working eclipse. Inspired by the Apollo moon landings, Space Walk builds from the tinkling piano at the outset, structuring detailed layers of sound, and in doing so, enveloping the senses. As the astronaut vocalist says, it's 'just beautiful'. The single also features an exclusive B-side, Pushy, which is an alluring tribute to the underdog. Album track Return to Patagonia is also available on the cd format, which revisits the Yellow EPs' Homage To Patagonia. 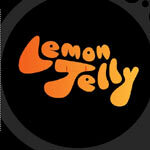 It sounds beautiful, it looks beautiful; it must be Lemon Jelly. Spacewalk' is released Oct 7th and 'Lost Horizons' is released October 21st on XL Recordings.